Inflatable exercise ball pumps fit the adapter nozzle that ships with CanDo inflatable exercise balls. 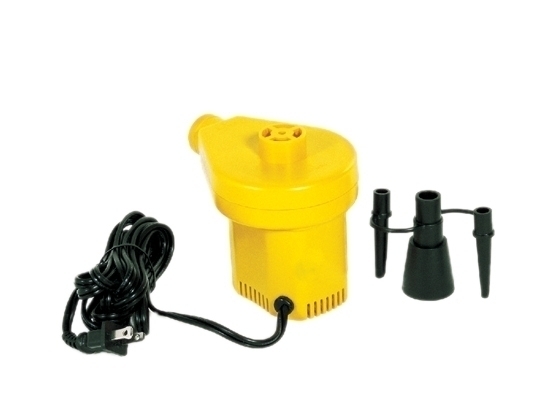 For optimal inflation, use electric pump first then fully inflate with manual pump. Colors may vary. Several Models available. Electric inflator and deflator pump can be used to inflate and deflate inflatable exercise balls. Dimensions: 5" x 7" x 10"